“The kids we took on our trip are normally highly suspicious of adults and their peers who they don’t personally know and they engage in ridiculing and antagonising strangers. 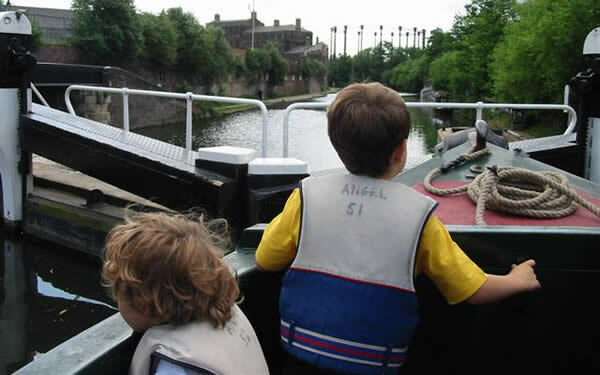 Over 5 days on the boat they met dozens of strangers from the canal community – strangers who said hello, can I help you with that, and said please and thank you and asked their names, and who wanted to point out interesting things along the water. And by the end of their trip every one of our kids was saying hello back, offering to help a stranger, and began to see that others were not necessarily out to harm them but were interested in them because of who they were and not because they wanted to hurt them. “The staff at the home where A currently is staying would not believe the day that she had had on Angel. A does not normally receive any visitors”.